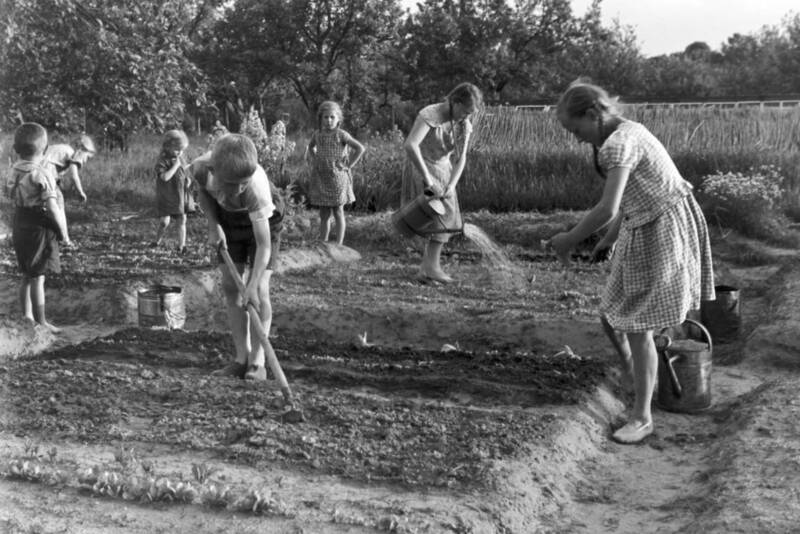 It’s proven that a childhood spent outdoors helps children grow up healthier and happier, but new research from skincare brand Sudocrem shows that gardening has become a pastime as antiquated as hopscotch. “Parents worry about their children getting the odd scratch which is where My Little Sudocrem comes in because it’s a great multi-tasker for gardeners,” says Alice Bamford, Sudocrem brand manager. The brainchild of Sudocrem and Clifton Nurseries (Britain’s oldest nursery), Get Out and Grow was launched on the 19th of March and is an ongoing campaign to try and encourage children to swap blue light for sunlight and take to their gardens, trowel in-hand, ready to get growing in time for Spring. Later in the year they will run an award scheme for schools to receive wheelbarrows and garden implements, together with advice from Clifton on how to engage children in gardening, both at school and home. Garden-themed murals painted by Joy Pirkle will brighten school walls and an online challenge to see who can grow the tallest sunflower will inspire some healthy competition amongst parents and children alike. Get Out and Grow will run throughout the growing season of 2019 and aims to get gardening back on-trend. Sudocrem was developed in Dublin in 1931 by pharmacist Thomas Smith. RRP for My Little Sudocrem: RRP: GBP2.99 per 22g pot. Available nationwide at Boots, Tesco, Asda, Superdrug, Savers & independent pharmacies.